A Belvidere North High School teacher is charged with criminal sexual assault after allegedly having inappropriate contact with a 17-year-old student. 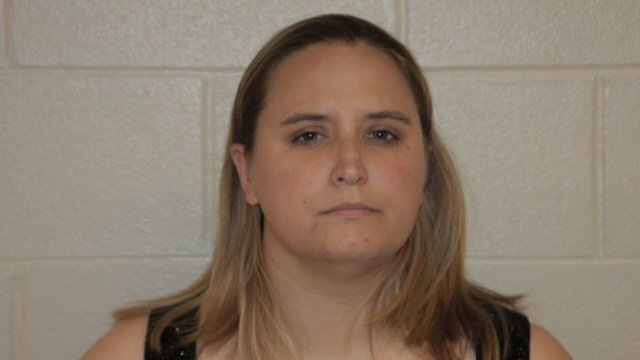 30-year-old Jenee Blackert of Poplar Grove is charged with four counts of criminal sexual assault, two of the alleged incidents with her female student happened between March 1st and May 16th. Police say the other two happened on June 28th. Blackert was arrested yesterday and later released on bond. On July 28th, Boone County Sheriff’s Deputies took a report about the incident. After further investigation, they learned Blackert had sexual contact with the student. We’re told the incident did not happen at school. Blackert is a social studies teacher at Belvidere North. We spoke to one student who was supposed to have Blackert as a teacher in the fall. Blackert was also her assistant softball coach 3 years ago. “I’m just in complete shock and I honestly don’t believe it until I were actual evidence,” said senior Leah Gorham. If convicted on all four counts of criminal sexual assault, she could face up to 60 years in prison. Blackert will make her first court appearance on August 23rd. Belvidere Superintendent, Michael Houselog says they can’t comment in detail since this is a personnel issue but says they’re cooperating with the investigation. He also tells us Blackert is currently on unpaid leave.